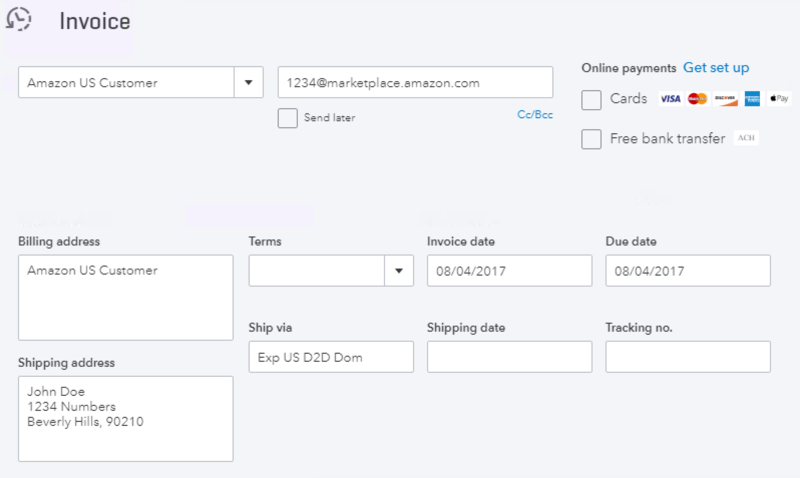 What does "Use the following customer account for orders in this marketplace" mean? SellerZen can store individual customer information in QuickBooks Online, or we can group all customers from one marketplace under a default account that you name. If you create the customer, make sure the currency matches the marketplace location, so if you're creating an Amazon US customer, the currency must be USD. Read more here about enabling multicurrency and creating customers. When a customer account cannot be found, we will make a new customer account with the customer information provided on the order. We'll use this customer account for all orders on this marketplace. We highly recommend that you select this option since QuickBooks Online will slow down as you add more and more customers. You can still search by Order ID in QuickBooks Online under the Advanced Search mode filtered by Invoices and Memo field. Alternatively, you can search customer name or Order ID on SellerZen under Orders. From there, you can view the QuickBooks Online document directly by clicking on the View button. Your QuickBooks Online invoices will all have the default name you chose for the Billing address field. The shipping address field will contain the shipping information for your customer. Again, you should have one default customer account per marketplace since QuickBooks Online's performance will gradually slow down as your customer list grows. Search functions and other reports may take longer to load.